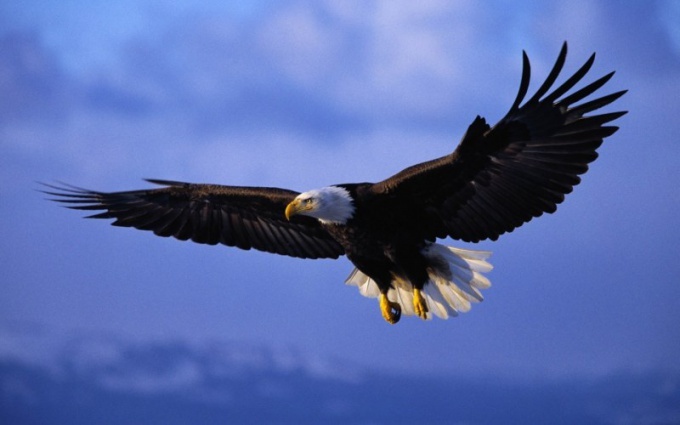 Almost everyone associates the name of the city of eagle with the beautiful, strong bird. Not coincidentally, the eagle sitting on the tower of the fortress depicted on the emblem of this city. Currently, however, some linguists are trying to challenge the etymology of the name, saying that the word "eagle" originally only described the topography of the area. Some people attribute the origin of the name eagle with a legend. The fact that on the orders of Ivan the terrible started the construction of the walled city, this event is referred to 1566. The main task was to protect the borders from the raids of Crimean Tatars. At the confluence of two rivers under the name of Oka and Orlik in those days, grew a mighty oak, and when he began to cut the tree down flew the eagle. It is believed that at this moment one of the loggers said the legendary phrase: "here master." By chance it was in honor of this bird, the Tsar Ivan Vasilyevich, and commanded to call the future city. There is another version of the origin of the city name. Before the river, merging with the Oka, was called the eagle. It is believed that it was renamed only in 1784, after which it was renamed Orlik. In 1565, after examining the surroundings of the future city, the king chose the place to start of construction - the confluence of two rivers, and in honour of the then existing eagle river city got its name. It seems that both versions about the origin of the name of the city is very truthful. Probably, everyone heard the word "eagle" is currently the proud bird, but maybe that's not entirely true perception. If you completely ignore the first version of the origin of the city name, the interpretation of the word "eagle" can be completely different. The fact that some linguists, who studied the etymology of the names of eagle river, came to the conclusion that it originates from the Turkic word "Ira", which means "angle". We are talking about visual perception the confluence of two rivers. Indeed, if you look at the place where he built a city from a high point, we can see a sharp corner. Not coincidentally, this area was selected for the construction of the fortress, because on two sides it is protected by nature.